The conference is being jointly organized by the Government of Odisha, Indian Heritage Cities Network Foundation (IHCNF) and UNESCO New Delhi. With the influence of urban development on the heritage and meaningful planning complementing each other with sustainable co-habitation, this conference is of immense importance as planners, artists, international heritage conservation experts, performers and people from various walks of life are going to take part in the three-day conference. There will be a special Heritage Dialogue Series comprising Round Table discussion with focus on Odisha. The delegates are also scheduled to take part in a special Ekamra Walks covering the rich Kalingan temple architecture in Old City area. 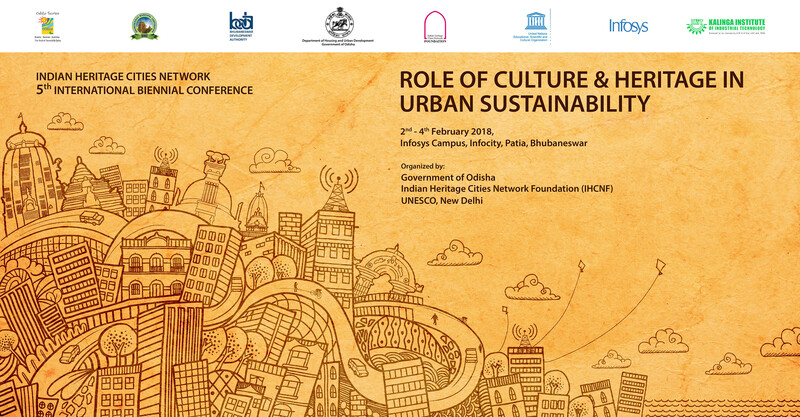 The conference will explore themes relevant to current trends and concerns addressing heritage in India’s urban scenario as well as around the world such as: Smart City & Heritage, Urban Sustainability and Climate Change, Resilience of Historic cities, Sustaining Traditional Communities and Livelihood and World Heritage and Cities.